Dubai: From its humble beginnings, the Holy Trinity Church has now been serving Anglican worshippers in the UAE for more than 40 years. 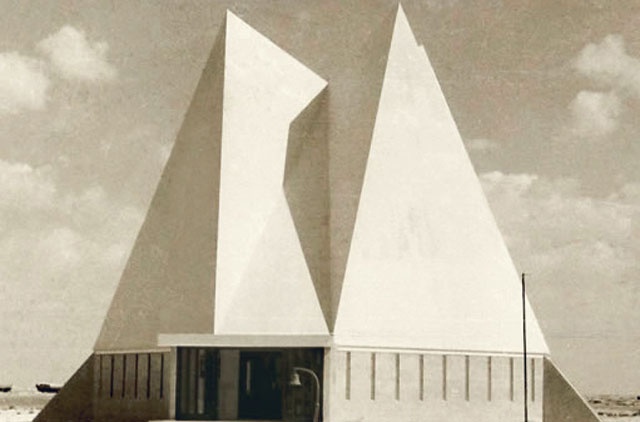 At its compound in Oud Metha Road, Bur Dubai, the church was once the only building to be seen among the desert sands when it was inaugurated in 1970. However, today the compound and the church have grown — both literally and metaphorically. Now, the compound — which hides the two original spires that can be seen in old pictures — includes 26 rooms where people from around the world come to worship. The Chaplaincy includes Dubai and Sharjah with the Northern Emirates and is part of the Anglican Diocese of Cyprus and The Gulf. The Right Reverend Michael Lewis, 54, is Bishop of the Diocese of Cyprus and The Gulf. He began his ministry in 2007. The compound's land was formally dedicated to Christians in Dubai in 1970. Before this time, the Mission to Seafarers took care of the needs of worshippers in the emirate. 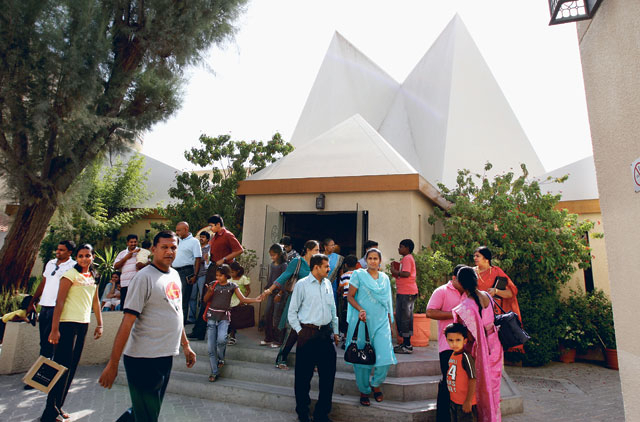 The Church has now spread from Dubai to Jebel Ali (Christ Church), Ras Al Khaimah and Fujairah and the Oud Metha compound hosts approximately 100 different churches. Reverend John Weir said he had been at Holy Trinity for the past six years and would soon take an early retirement. "Originally it was just a small church for the British community… and it's their imagination and generosity that's made it ecumenical and encouraged people of all races," he told Gulf News. Services were conducted at the compound in languages including English, Arabic, Urdu, Hindi, Malayalam, Tamil, Chinese, Tagalog, Greek, Russian, Korean, French and Amharic, he said. "We have a lot of different nationalities," Rev Weir said, continuing that he would be preaching that evening at the new Burmese church. "We established a permanent Chinese church in the main church this month. Maybe one day we will have a Nepali church. The point is to have as many languages, so people can worship in as many languages as possible," he said. Rev Weir said between 11,000 and 12,000 people attend services at Holy Trinity every Friday. Coupled with the Roman Catholic church in the same road, he estimated that between 25,000 and 26,000 Christians worshipped on Oud Metha road on a Friday. Reverend Kenneth Ridgewell said he took up his appointment as first Chaplain of what was then the "Chaplaincy of Dubai and Sharjah" in 1969, and his "parsonage" was a flat above a printing shop in Cinema Square (now Nasser Square). Holy Trinity held a number of events to celebrate its 40th anniversary. Collections have been taken since June 2009 on every Friday, Sunday and Tuesday to be put towards renovating the church, in particular paying for new pews. Other fundraising events have also been held and the church also raises funds at its permanent thrift shop.